Tom Cruise may be getting older, but that hasn’t stopped him from giving 110% in every role. With ‘Edge of Tomorrow,’ it’s paid off. 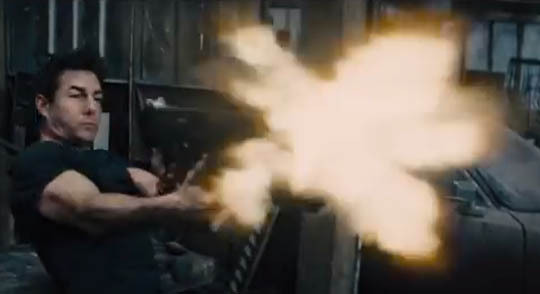 Director Doug Liman (The Bourne Identity) makes use of a solid screenplay (based on “All You Need is Kill,” by Hiroshi Sikurazaka), in addition to Cruise’s and Emily Blunt’s acting chops to create a product worth checking out. 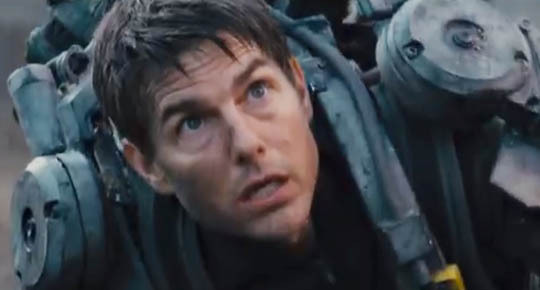 It’s impossible to ignore the ‘Groundhog Day’ jokes, but ‘Edge of Tomorrow’ is no joke. Farell’s words are prescient — Cage is born again many times, and the sergeant’s assertion “through readiness and discipline we are masters of our fate,” becomes one of the major themes running throughout the movie. “You might call that notion ironic, but trust me…you’ll come around,” he tells Cage. It takes countless “deaths” for him to realize the wisdom embedded within the quote, but eventually it takes hold. Cage needs help if he’s going to save the world from invading aliens, and Rita Vrataski (Emily Blunt), also known as the “Angel of Verdun,” fills the role. At one point in time Rita shared Cage’s ability to “reset” with each death, but lost the power. Between the two of them, they slowly and methodically go about figuring out how to save humanity from the alien “Mimics.” Overall, Blunt delivers — she is believable as a woman who could slice and dice her way through deadly tentacled aliens. What made her character even more interesting was that as Cage began to learn more about her (and become more attached) with each death, she still managed to keep her guard up. No matter how many intimate details Cage knew about Rita, he would never truly know her until she decided that she knew him enough to relax and present him with her “real” self — the one behind the tough-talk soldier exterior. There is a treasure trove of positive messages in ‘Edge of Tomorrow’ that, coupled with Cruise’s ability to carry a film, make it worthy of your time. Movie money used on seeing ‘Edge of Tomorrow’ in theaters is money well spent. If you like science fiction movies, give it a chance. You’ll be glad you did. Almost hate to admit it, this movie and thought saved my life. Thanks for taking the time to read and comment. I appreciate it.